WWII PAT. DTD 1948 U.S. AIR FORCE EAGLE SHIELD &amp; STARS SCREW BACK SILVER PIN! Details about WWII PAT. 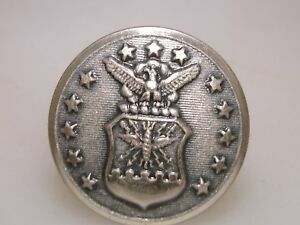 DTD 1948 U.S. AIR FORCE EAGLE SHIELD & STARS SCREW BACK SILVER PIN!